Step into a world of tranquillity and serenity with Linda Wood’s captivating designs. These decorative papers are embedded with rich history through its flourish of warm colours and detailed patterns with flowers, wrens and butterflies. 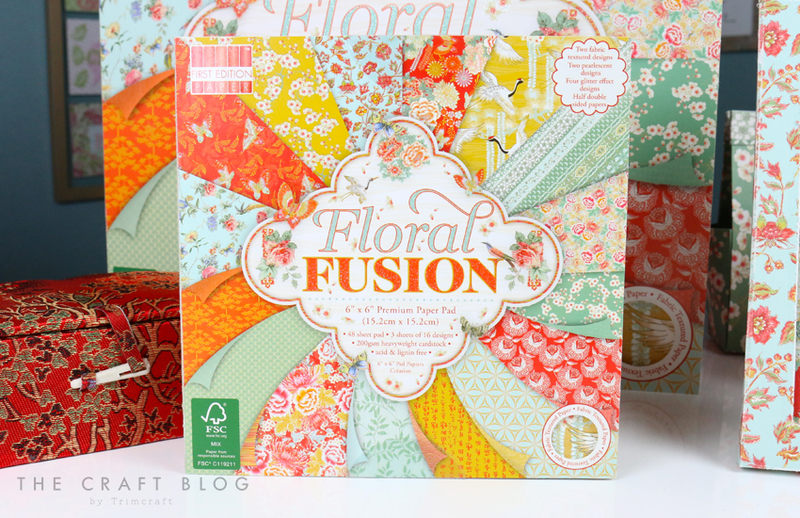 Perfect for papercraft, scrapbooking and upcycling these stunning papers will bring a fantastic new edge to your projects. Your friends won’t believe your projects are handmade, the papers are THAT classy! From brilliant red, mustard yellow to a calming blue colour, these beautiful illustrations are brought to life with the stunning fabric texture, pearlescent and glitter effects featured throughout. What’s amazing about this pad (if there wasn’t enough already!) is that you can personalise it for your chosen occasion, all year round. You won’t be limited and you can let your creativity run free, can it get much better? We are SO excited to see how you use these selection of designs on your projects in the Inspiration area. Keep your eyes peeled for this pad in June! Love the slightly Asian look of this paper - can't wait! The colours are glorious! Love the vibrant colours of this pad. Just my cup of tea. Are that is so beautiful and i love it there are lovely colours and patterns i would love that.! Same as everyone else is saying this is one gorgeous summery papers and iam getting them. Any one know which shop stocks it please?